Nothing like having the Eiffel Tower be your backdrop. 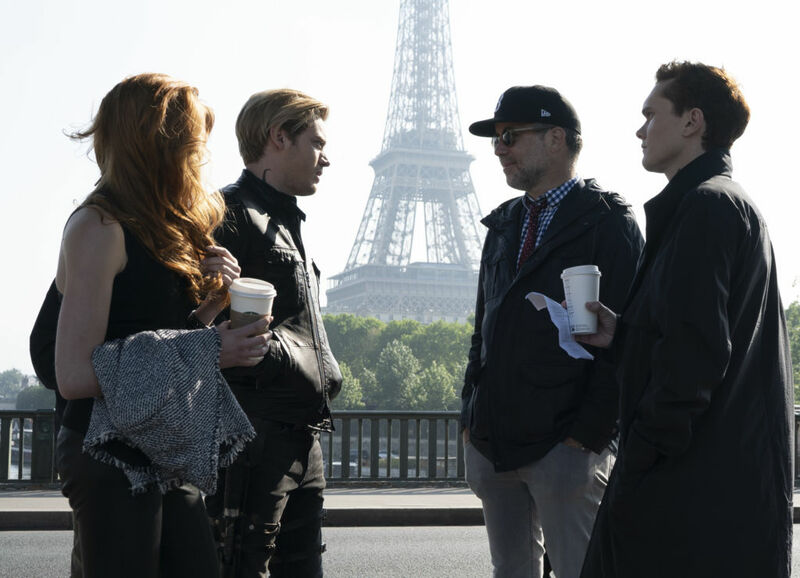 Watched Shadowhunters‘ 3.12: “Original Sin” and wonder what it was like for the cast to film in Paris? Well then keep on reading! As we saw in that episode, Clary and Jonathan spend the entire episode in the lovely “city of love” itself, Paris, France! And in true authentic fashion, the cast actually filmed in the beautiful city for 2 weeks according to director, Matt Hastings (pictured to the right with the cast)! You can certainly tell from both this behind the scenes video and the episode itself how much fun the cast and crew had filming in the beautiful city. And how gorgeous was the Eiffel Tower in the scenes?! You can watch the full behind the scenes video below.